Mad about design? 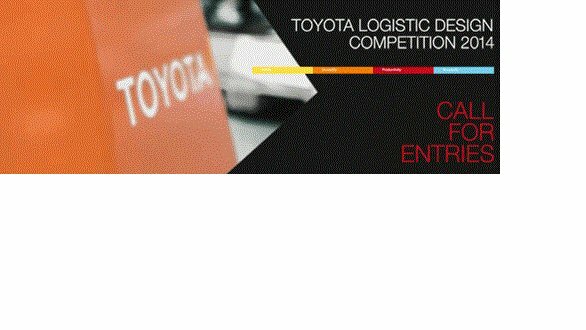 Toyota Material Handling Europe (TMHE) is inviting all European design students and 2013 graduates to enter its first Toyota Logistic Design Competition and lift up tomorrow’s intralogistic standards. Your challenge is to tackle the following theme, ’Tow tractors: industrial machines in need of a makeover’. In a fast moving world, tow tractors control the flow of essential goods transportation. Heavy-duty, strong and reliable, they carry huge loads over long distances, saving time, energy and money. Prove to us that transportation design can and should be stylish, too! Unleash your imagination and submit your idea and visual sketches of the world’s next tow tractor. A prize of 4,000€ is waiting at the finish line! Let’s move into the future together!